Just last week, my kids and I were leaving for school and we had some leftover Easter candy on the kitchen counter. So, unbeknownst to me, Sam (who is 10) grabs a handful of solid milk-chocolate eggs as he heads to the car. I begin talking with the kids about their plans for the day and I notice that Sam is unusually quiet in the backseat. Sam is very rarely quiet, so I knew something was up. Before I could say anything, my daughter Ellie (who is 12, and was sitting in the front seat), whips her head around and notices the crime Sam has committed. She sees the empty Easter candy wrappers on the backseat and she has a look of complete disgust on her face as she sees Sam’s cheeks puffed up with chocolate from one side to the other. Now, siblings will be siblings. Deep down, brothers and sisters love each other, but they can be very quick to tell Mom and Dad when the other one is doing something wrong. 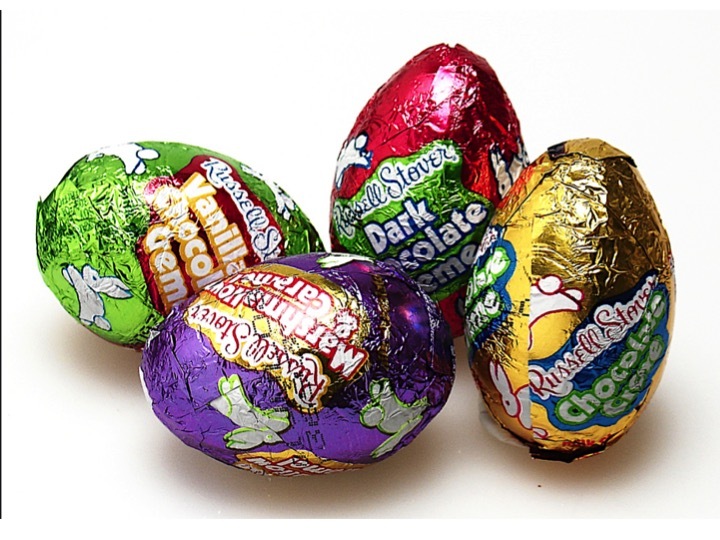 Is it ok to sneak milk-chocolate Easter eggs for dessert after breakfast, in the car, all the while hiding it from Mom? Of course not, but that’s not the point of today’s blog. My purpose today is to share with you how God used this situation to remind me of His Truth. I can relate to Ellie in this situation. Ellie is a child who has a deep conviction in her spirit for what is right and wrong. Most nights, she and I lay down in her bed and she talks about her day. Often, she confesses her sins to me and wants me to pray with her. Her heart is concerned for justice. I can also relate to Sam in this situation. Sam was tempted to eat yummy milk-chocolate candy. Those eggs were laying right there on the counter and he could not help himself. He knew better than to sneak them in the car, but he did it anyway. Temptation got the best of him. Haven’t we all fallen into temptation? In the book of Micah, there is a question answered as to what God requires of us. We are instructed to act justly. To be “just” is to do what is right and fair. We should treat others fairly and we should be honest, (even when no one is watching). God has told us in His Word what is right and good. We should do what is right and good. We are instructed to “love mercy”. This means we should show compassion and kindness toward one another. We often see the definition of “mercy” as “tender mercy.” It’s easy for us to extend this type of compassion when someone has an illness, or a tragedy has struck their life. It can be harder for us to extend this type of mercy when someone has fallen into sin. Lastly, we should walk humbly with our God. The word, “humble” is also translated, “lowly.” It is the opposite of pride and arrogance. Being humble is understanding our right place with God. He is God. We are not. He is always right. We position ourselves in reverence to Him because He is worthy of our worship! We should walk with Him in this way. The church should be a place that is safe for people to share their struggles. The church should be a safe place for people to fall. Sometimes, it is not. Instead of being a group of believers who come alongside hurting and broken people, we often throw stones at them with our words and with our actions. I am guilty of doing this. What about you? My friend, you and I need to be people who do what is fair and right, while showing tender mercy and compassion to others. Let us not think too highly of ourselves. We did not save ourselves. We are saved by the tender grace, and loving mercy of God, through the blood of Jesus. I hope you will take some time today and think on this verse in Micah. Let it penetrate into your heart and ask God to speak to you. We need to be careful how we respond when we find out about another person’s sin. There is the temptation of tearing someone down with our words or actions, but God tells us to extend tender mercy and compassion, instead. The teachers of the law and the Pharisees brought in a woman caught in adultery. They made her stand before the group and said to Jesus, “Teacher, this woman was caught in the act of adultery. In the Law Moses commanded us to stone such women. Now what do you say?” They were using this question as a trap,in order to have a basis for accusing him. Do justly, love mercy….walk humbly with your God. I am very grateful for you! my kids fight all the time. What can I do to stop them? That sounds like something my son would do. Very funny!